I have not heard these guys in years. I saw them live in Somerville, MA back in September 1995 and they really rocked out. The California based band has created quite a following in the Celtic Rock world over the years and this is their ninth release and eighth studio album since 1991. I have only previously heard their second record, Serrated Edge. The band is lead by Norweigen electric mandolinist and vocalist, Lief Sorbye. The band continues to deliver powerful rock-folk celtic fusion music with a furious passion. The fiddle playing by Sue Draheim is really outstanding! "Old Man At The Mill" is a brilliant traditional sounding song. The one thing about these guys is that they really ROCK! Not just playing some celtic cover music but real passion and power in the music. 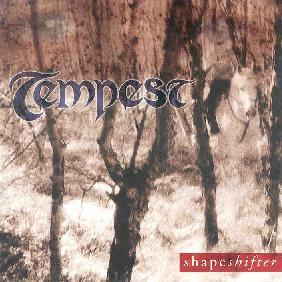 For more information you can visit the Tempest web site at: http://www.tempestmusic.com. Shapeshifter is distributed by Magna Carta. You can visit their web site at: http://www.magnacarta.net.